With Conor unavailable, Ciaran Woods, Ronan Scott and Niall McCoy steer the podcast their own way with a preview of the Ulster sides involved in the Allianz NFL Finals this weekend. 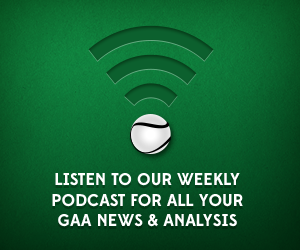 The lads preview Fermanagh v Armagh in Division 3 and Down v Roscommon in Division 2. Tyrone’s U21 All-Ireland Semi Final win vs Roscommon is also covered along with Fergal Logan’s quotes on the lack of respect shown to his side prior to the game. More Tyrone talk as all the club league games are called off this weekend to make way for the U21 Footballers. There’s also a preview of the Ulster Minor Football League final that sees Derry take on Donegal who have only been beaten once since January 2014. There is also significant Ulster interest in the Ladies Football National League semi finals this weekend with Armagh taking on Cavan and Donegal facing Westmeath.